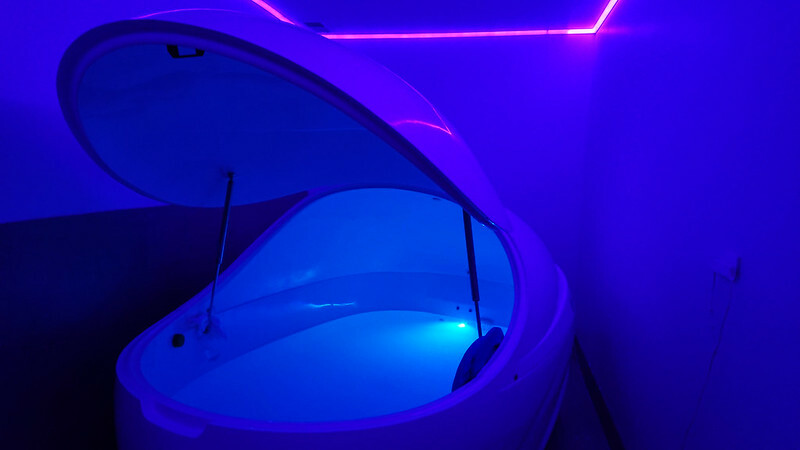 I’ve been using an isolation tank every few weeks since the beginning of the year. The tanks are large, enclosed bathtubs, filled with body-temperature salt water, in which you float and not much else. Before my first float I wasn’t sure if claustrophobia would be a problem. I’d never experienced claustrophobia, but I’d never enclosed myself in a bathtub before either. What I was missing here is the key component of the experience: sensory deprivation. With the tank closed, there’s no light, and the tank is large enough that I don’t touch the sides. Without any incoming data telling you that you’re in a small tank, you could be in an Olympic-sized pool, or simply floating through space. There are odd an unusual claims about the benefits of isolation tanks which match the odd and unusual experience of the tanks themselves. To me, the tank is just a venue for mediation. It eliminates distraction, making the process a bit easier, but does not offer any additional benefits of its own. (Telekinesis has yet to manifest.) If you are not comfortable in your own head, you won’t have a good time. I enjoy playing music during my sessions, sometimes for the whole hour, more often just for the first and last 15 minutes. Ambient textures are best, as anything with a beat requires too much attention. I tune in to SomaFM’s Drone Zone every now and then, which usually ends with at least one new purchase that I’ll queue up for the next tank session. Tom Heasley’s Where The Earth Meets the Sky and Massergy’s The Vast Colure have recently been useful. I’ll also sometimes go a less electronic route, opting for chanting from Gyuto or Georgian monks. It should go without saying that I’ve tried ending a session with Akira’s Requiem. This post was published on 2018-04-15 . It was tagged with health, audio.